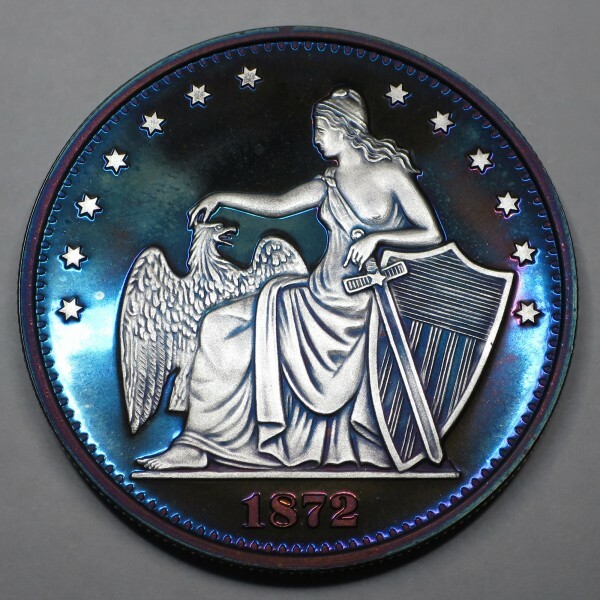 > Toned Series>2014 Commemorative Proof of the 1872 Amazonian Dollar "Bubble Gum"
2014 Commemorative Proof of the 1872 Amazonian Dollar "Bubble Gum"
"Bubble Gum" 2014 Silver Commemorative Amazonian Dollar. 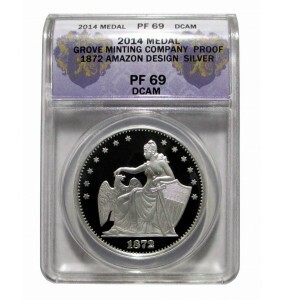 This commemorative is solid .999 Silver, weighing One Troy Ounce at 39mm wide. 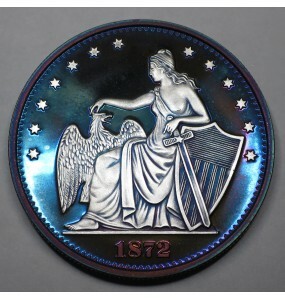 Single unique example of the "Bubble Gum" 2014 Silver Commemorative Amazonian Dollar. 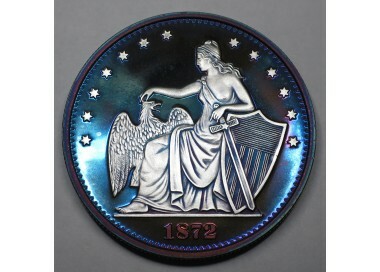 A new and modern approach (Experimental Toning) towards the ideas and enjoyments in numismatics.